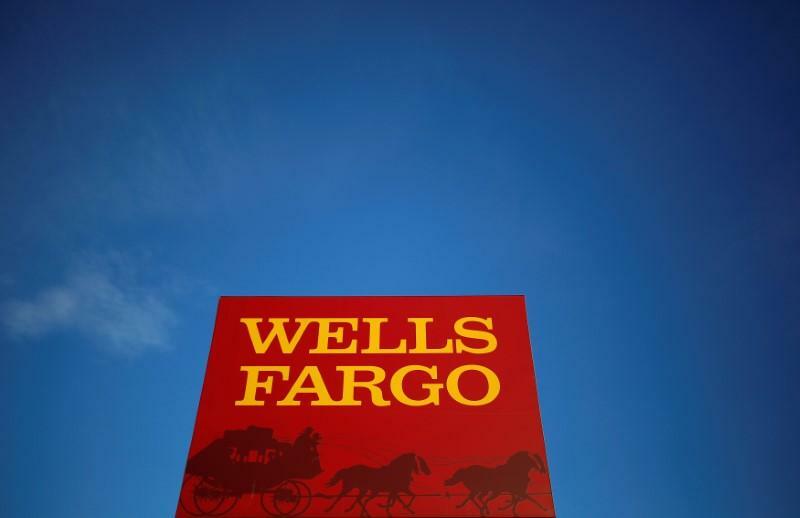 NEW YORK (Reuters) - Wells Fargo & Co's two biggest competitors have been nabbing market share in lending to commercial and industrial customers in the American heartland, a sign of how difficult it has become for the scandal-tarnished bank to defend its position against rivals. Earnings reports in recent days showed Wells Fargo's book of C&I loans in the United States down 1 percent, on average, during the first quarter compared with the year-earlier period. In contrast, JPMorgan Chase & Co's gained 5 percent and Bank of America Corp's was 4 percent higher. Those two banks attributed gains to opening offices and adding bankers in smaller cities around the country, a strategy Wells Fargo has embraced for decades. But as Wells struggles to recover from a sales scandal that has touched customers in businesses ranges from deposits, credit cards, mortgages and auto lending to wealth management, it has become harder for the bank to maintain its competitive edge. Chief Financial Officer John Shrewsberry said as much on Friday when an analyst asked whether Wells Fargo is losing any customers because of negative headlines. "We have to compete a little bit harder," he said, noting that rivals have been trying harder to steal business during Wells Fargo's time of vulnerability. Asked by Reuters about the decline in C&I lending specifically, Shrewsberry said that while Wells Fargo competes aggressively on pricing, it has been stricter about loan structures than other banks. For example, Wells might give a borrower a lower interest rate but would not offer a bigger loan or extend the duration or relax loan terms. Since 2010, JPMorgan has opened 52 new commercial lending offices, including in San Francisco, where Wells is based, as well as in Silicon Valley's Palo Alto, Omaha, Nebraska, and Memphis, Tennessee. It has also hired as many as 100 commercial bankers each year, many of whom cater to companies with annual revenue of just $20 million to $500 million. Using a similar strategy, Bank of America has hired some 400 commercial bankers in recent years. Banks tend to forge long-lasting bonds with C&I borrowers that can lead to additional work, such as managing cash, handling payments, issuing corporate credit cards, raising money in capital markets and even advising on acquisitions. That makes Wells Fargo's market share decline particularly troubling, said Keefe, Bruyette & Woods analyst Brian Kleinhanzl. "If you are winning the C&I piece, you are deepening the relationship, which is good for revenue growth," he said. The market share shift represents a change in fortune for Wells, which came through the 2007-2009 financial crisis strong enough to acquire a failing rival and avoid many of the embarrassing scandals that plagued other big banks. That changed in September 2016, when Wells reached a $190 million regulatory settlement over opening what turned out to be as many as 3.5 million phony customer accounts to hit sales targets. Since then, the No. 3 U.S. bank by assets has discovered several other problems and now faces another regulatory penalty of $1 billion. Executives have downplayed the scandal's impact on profitability or market share, saying Wells is "open for business," and that few customers have left. But analysts who spoke to Reuters said they believe the scandal is starting to hurt Wells Fargo's competitive edge, either because customers are displeased or because executives are too distracted by lawsuits, regulatory probes and organizational changes to run the bank as well as they otherwise would. "Obviously, management has been focused on the issues around the sales practices," said Allen Tischler, an analyst at Moody's Investors Service who has tracked the lost market share. Nonetheless, Wells' CFO Shrewsberry was optimistic about the outlook for C&I lending, which he expects to grow this year as commercial borrowers take on more leverage for expansion plans. Speaking about Wells Fargo's balance sheet more broadly, he said areas with sharp declines, like auto and home equity loans, are where the bank has purposefully pulled back because of credit concerns. "Our loan portfolio is getting safer and safer," he said, "and it's smaller."